Escaping the cold of Chicago in mid-winter is our favorite hobby! But coming to Maui in winter time for us snowbirds has an added bonus aside from the perpetual sunshine and tropical breezes – Whale Season! Every year we make sure to make the most of our time away from the office by getting as close to nature as possible, and in Maui, that means getting in the ocean. Kainani Sails has knowledgable and friendly crew members who seem to know intuitively where to find the whales – something that is obviously a huge positive when you’re spending your hard-earned travel dollars to come view these gentle giants! We booked the 5-hour snorkel and whale watch combined trip and it was absolutely epic. After a few hours of sailing and seeing some of these beautiful Humpbacks frolicking in the calm tropical waters (including some full breaches!) it was time to take a dip. The girls and guys on the crew – especially Iwa and Keao – were really excellent at their jobs and it was a real pleasure sailing with them. The boat was fully equipped with everything we could have needed. The area the crew chose to snorkel had plenty to offer, and along with the colorful fish life we also encountered some Green Sea Turtles. Speaking of color, the sunset was just magical and it was complimented, once again, with great service from the crew. All in all a must do for anyone looking to escape the snow and get a taste of amazing Maui. 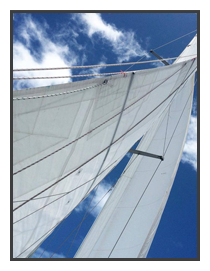 Choose Kainani Sails! 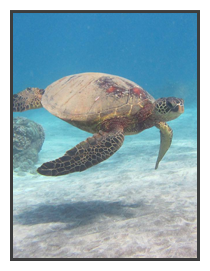 You can find out more about the trips they offer here: KainaniSails.com , or call them at (808) 495-1001 to book your next trip! You’ll be glad you did!